Instagram is all about discovery, which led the photo-sharing app to add new features and functionality that make it easier to discover the latest and greatest happenings, highlights, and places through the most current photos and videos. To help users visually and virtually experience the latest live events, Instagram revamped its Explore page and enhanced its search capabilities to make it easier to find images on any and every subject. TheNewYorkTimes.com shared how Instagram improvements will bring more live events into people’s lives. Instagram revamped its Explore page to display the most newsworthy and buzzworthy images from events both around the world and in users’ regions of the country. A special algorithm will discover the top-trending tags and happenings in real time, and then present those images to users. This will highlight collections of the newest and most notable photos and videos curated by Instagram. 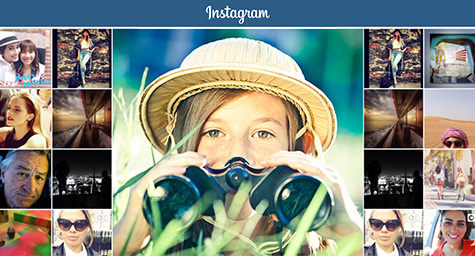 The new Explore page will first appear to U.S. users and be rolled out to the rest of the world in the future. It will be much faster and easier to find collections of images on any topic and specific interests. The addition of a Places feature will let users find photos and videos captured from any location in the world. A special “Top Search” feature will enable users to find images across several categories of people, places, and tags simultaneously. Instagram’s greater search capabilities will simplify the process of finding up-to-the-minute happenings, viewing specific places of interest, and performing multi-faceted searches. With Instagram’s latest updates, it will be easier than ever to discover the matters that matter to users. Explore the latest in social media marketing. Contact MDG Advertising.